For many of us in who live and work around the field of consciousness and energy psychology as a tool for change and self-development, there have been certain keywords that continue to grow in scientific understanding and common usage. Two of those terms; neuroplasticity and epigenetics, appear to be the source of greater understanding for transformative change. This blog post expands on previous material I have written about concerning the role of epigenetics to explain how what we experience (both the circumstances and our experience of the circumstances) in life plays a key role in creating change in our health and behaviors as well as for generations to come. That how we perceive a negative/stressful/adverse or traumatic event can directly affect not only on our genetic expression (through epigenetic mechanisms) and hence, by reducing the perceived stress associated with past events, we can alter our physiology and our health and behaviors related to it. Though often not conscious, we as individuals may well be the culmination not only of our parent’s (lineage) DNA, but also a result of their life experiences, perceptions and limiting beliefs as they express themselves in our physiology. That through the unfolding epigenetic model, if we then create changes in our chromosomal expression through perception transforming Energy Psychology methods like EFT and Matrix Reimprinting, we may very well be creating a trans-generational healing effect not only for ourselves but for our children, our children’s children and so on future-wards. There has been a recent increase in exploration of how experiences alter the genetic expression of an individual’ chromosomes. In other words how what we feel and experience can have an effect on what are genetic blueprint expresses in the next generation. My previous blog explored a study that demonstrated in mice subjected to significantly stressful events, the experience altered a type of their RNA (the functional part of DNA that makes the proteins of, in essence, who we are), that made their children and grandchildren significantly more prone to symptoms of depression-like behaviors and even increased risk of psychological disorders like Bipolar Disorder. 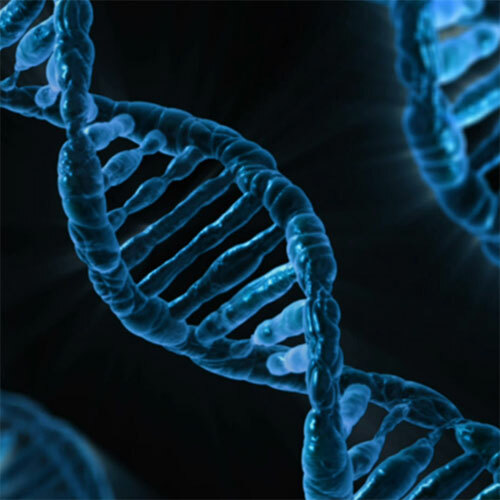 This week the NY Times columnist Carl Zimmer reported on a new epigenetics study by Donkin. In his article he states “Scientists were investigating a tantalizing but controversial hypothesis: that a man’s experiences can alter his sperm, and that those changes in turn may alter his children.” This new study explored how the genetic expression of obesity may be altered in obese men and then that their sperm, delivering new weight related information after undergoing bariatric (stomach reduction) surgery may be passed on to their children. The small study tested a group of men’s sperm before, immediately after, and one year after weight loss surgery. Twelve months after surgery the researchers noted in their sperm, that over 3900 “gene caps” (where the methylation process happens), were changed. Interestingly, among the gene caps changed included genes that directed behaviors such as appetite control. While this study had not gone further to see how these post-surgical epigenetic changes affected offspring weight tendencies (obviously in humans that kind of follow up study would take several decades to observe such outcomes), the same researchers will be studying the blood cells of future children to explore the genetic and epigenetic legacy of the post-surgical men. While this new research was focused singularly upon the subject of the transmision of life experience (in terms of a surgical experience), I continue to anticipate futre research that will furtehr explore the psychological and emotional aspects of human experience and the evidence that emerges validating both the mind-body connection but also the possibility of therapeutic interventions like MR that may affect it. I will continue to watch and relish how current research continues to offer insight into a valid scientific understanding and mechanism supports the therapeutic work that we are all doing to transform our own lives and the lives of generations forward. This concept inspires me every day.